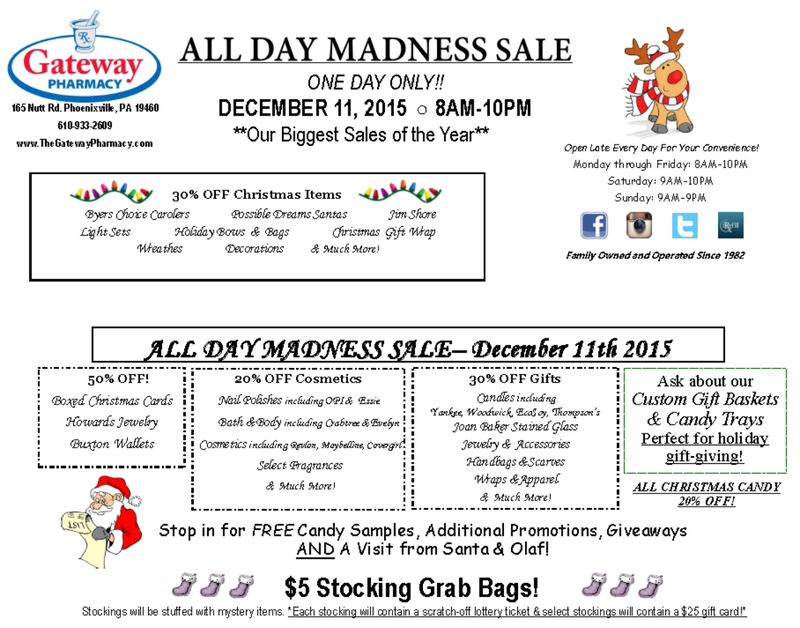 Gateway Pharamacy will be hosting their All Day Madness Event tomorrow, December 11th. 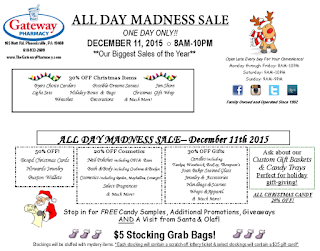 The event, their biggest sale of the year, will be held from 8am-10pm and will feature great sales on gift and holiday merchandise, extra special deals like $5 "Grab Bag" Stockings and also a visit from Santa from 12-7pm and Olaf from 4-7pm! For more information, visit their webstie at thegatewaypharmacy.com or on Facebook.